Gaming has come a long way over the past 20 years, when society was just getting used to the Playstation. Nowadays, lifelike graphics and vast worlds are a minimum standard. Believe or not, though, things are only going to get better – and pretty quickly too. Here are 5 innovations that will change gaming forever. Sony’s virtual reality headset is set for release in 2016, as is the Oculus Rift, and both sound very exciting indeed. The VR headsets combine projected images and 3D audio to create an immersive experience that actually feels as though you’re in the game you’re playing. Essentially, you’re transported to a different world – and you experience it as if you were really there. It sounds like something from a sci-fi movie, and there are still a few kinks that need to be ironed out, but Morpheus has received rave reviews from the critics who’ve tried it out so far and the Rift is easily one of the most anticipated pieces of hardware ever. Rather than following Sony into virtual reality, Microsoft are pursuing ‘augmented reality’ instead with HoloLens. The headset overlays reality with objects that aren’t really ‘there’; for example, you could be playing Minecraft and see the blocks and interact with them as if they were actually in your living room. Or, you could have space aliens running around your living room! Again, it sounds mind-bending but it’s very real; Microsoft are even planning to roll it out across the whole Windows experience. We’re most excited about HoloLens’ gaming capability, though. Produced by the same team behind Project Morpheus, Sony’s eye-tracking technology will allow you to interact with games using your peepers; if you want to look right, you shift your eyeballs right as would in real life, and aiming a gun or directing a shot on goal is as simple as looking at your target and pressing a button. Sony’s eye-tracking technology isn’t likely to be released commercially for some time yet but it could be worked into Project Morpheus, making the PS4 the ultimate platform for virtual reality gaming. RoomAlive is another augmented reality project from Microsoft, except rather than using a headset to project images, it uses a Kinect to project images around your room. It’s a slightly less personal version of virtual reality, basically. RoomAlive was unveiled a few months before HoloLens and not much has been revealed about it since, so it’s unlikely to get a commercial release any time soon. It’s a cool idea, though. Music has Spotify, movies and TV has Netflix – so why hasn’t there been a successful game streaming service yet? Well, there are a number of financial and technical reasons but experts predict 2015 will be the year game streaming finally takes off. As with Netflix, you’d pay a monthly subscription fee and play games as and when you want. With the cost of packaging and distribution reduced, it should (in theory) reduce the cost of gaming significantly. It’s probably not a good idea to sell PS4 games just yet, though! 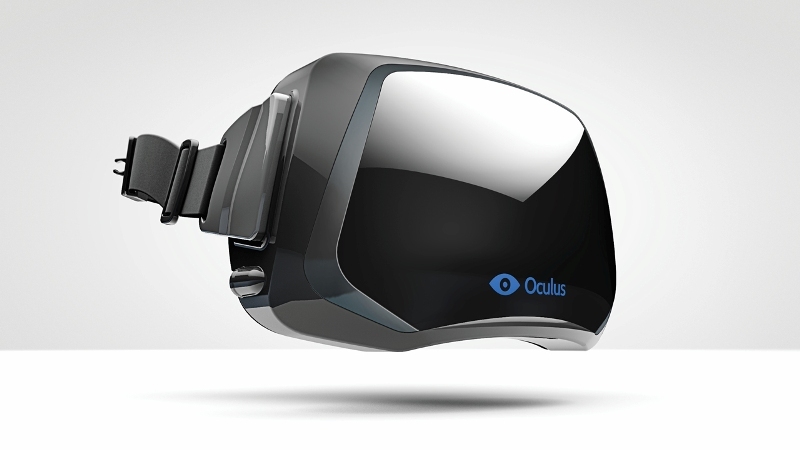 Are you looking forward to virtual reality? Or is too much innovation a bad thing? Let us know in the comments! What is the greatest fighting game series of all time? Cast your vote now! ← Which FPS should you buy for your PS4 or Xbox One?